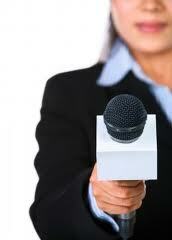 3 Factors That Will Make Every Interview a Hit! | Media Guest Connect - Bringing guest experts and the media together.Media Guest Connect – Bringing guest experts and the media together. 3 Factors That Will Make Every Interview a Hit! These are the three pillars to consider for every interview. Nail them most of the time, and you are on your way to becoming a circuit star! 1. Subject Matter-What are you speaking about that relates to them? Will it help the listener take action, feel smarter, make them healthier, and have a positive effect on their mind and spirit? Make sure all of that comes across in your language, facial expression and body language. 2. Personality-People like to be entertained. It’s important to have a great message. They also want to feel something about you. It’s impossible to please everyone, but this is not about pleasing, it is about drawing them to you as a believable, passionate human. Be you and leave an impact, tell a story, be humble, and never feel you need to be defensive or desperate. 3. Contact-Every moment today is fleeting. You need to make it easy for folks to connect with you. Make sure you work your contact information into your content, more than once. This doesn’t mean to do a commercial. What it means is work your contact information conspicuously as possible into the interview. As you give the listener great content delivered with sincerity and energy, how do they find you? Make it easy for them, or they will move on and you have lost an opportunity to impact more lives. Need to learn more? Follow us here on www.MediaGuestConnect.com!